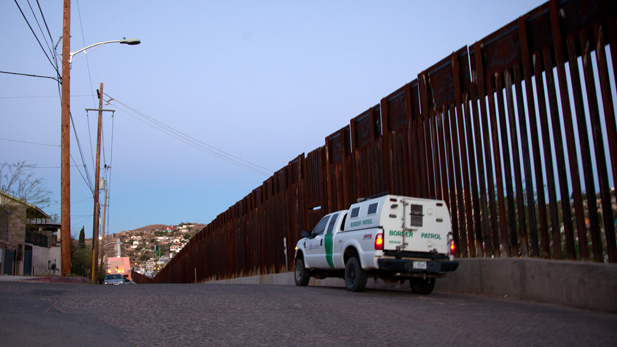 / Modified dec 16, 2015 10:01 a.m.
A U.S. Border Patrol vehicle on the American side of the border fence in Nogales, Ariz.
Human rights groups planned a protest Wednesday at the U.S. Courthouse in downtown Tucson to mark the 10th anniversary of Operation Streamline, which changed the way the government handles illegal immigrants. The Department of Homeland Security put the program in place to curtail illegal immigration by handing down harsher penalties. Before Operation Streamline, the Border Patrol would deport first-time unlawful border crossers, with the U.S. attorney holding the discretion of prosecuting those with criminal records. The new policy took effect in 2005, requiring criminal prosecution of all undocumented border crossers, regardless of their history. It was supposed to deter repeat crossings and keep others from entering, knowing they might go to jail. by the Office of the Inspector General found no evidence that Operation Streamline has worked, immigrant advocates said. Arizona Sens. John McCain and Jeff Flake, both Republicans have maintained the program works, and they have recommended an expansion of it.